Due to the continued expansion of our RTC and Charter Company, we are now looking for Highly Motivated & Professional RYA Instructors and Commercial Skippers of various disciplines, who are interest in working with us at Solent Boat Training, Southampton, in 2015. 3 x PWC’s, a range of RIB’s (5.3m – 10.5m), 5 x Sailing Yachts and 2 x Motor Cruisers, all of which are used for both RYA training and a vast variety of Private and Corporate Charter events. Shortly we will be collating all the information from those who are keen to work with us and I therefore ask you to send us a current CV (please include possible availability for 2015). Once complete, we will then look at organising a get together around Feb/Mar for all those interested, in preparation for the new season ahead. 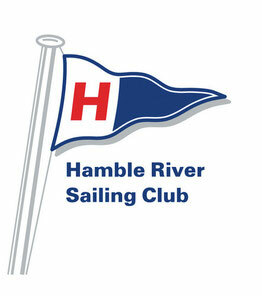 Hamble River Sailing Club seeks to appoint a Chief Instructor. The role will combine running our RYA training school and provide support for all club sailing & power-boating activities. Duties within the training school will include management and delivery of courses, development of training procedures, hosting RYA inspections and developing its marketing potential. Support for the clubs sailing activities will include on-the water assistance at club events and shore based duties to ensure club resources are maintained and fit for purpose. This will be a permanent position, based in Hamble. The candidate must be able to work flexible hours and be a motivated ‘self starter’. Southampton Water Activities Centre is recruiting for the 2015 season! SWAC is a busy RYA training Centre located north of Southampton’s Ocean Village, with quick access to some of the best training and cruising areas on the south coast SWAC is a premier watersport provider delivering a range of experience trips along side a wide variety of RYA courses in dinghies, small powerboats and shore based training. - Fixed term contracts starting between February and June, variablesalaries depending on role and experience. - The role requires a flexible approach and will see successful candidates working a 40 hour contract over weekends, evenings and Bank Holidays as required. 28 days holiday inclusive of bank/public holidays pro rata. 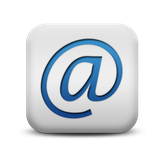 Successful candidates will be subject to references and an enhanced Disclosure and Barring Service (DBS) check. 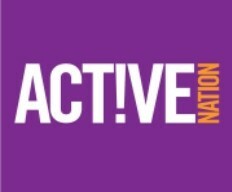 If you think you have got what it takes and would like to join our friendly professional team, please e-mail your current CV and covering letter to jon.kirby@activenation.org.uk. For a full job description please email Jon. Berkshire Sail Training centre are looking for an S.I. Berkshire Sail Training Centre (BSTC) are looking for a seasonal RYA Senior Dinghy Instructor to join their team for 2015. BSTC is based near Reading, promoting watersports to schools, youth groups, persons with special needs and RYA courses to the public. Training is primarily dinghy sailing, powerboating, windsurfing, and stand up paddleboarding. This role requires a flexible approach with the successful candidate working a 40hrs contract over week days, evenings and some weekends. Typical working week will normally be Monday – Friday inclusive. Essential Experience and qualifications: RYA Senior Dinghy Instructors, stand up paddle board experience, Valid 1st Aid certificate and excellent communication and presentation skills. Willen Lake are looking for S.I. Senior Instructors required for 2015 season at Willen Lake Watersports, Milton Keynes, to oversee the day-to-day delivery of our varied training programme, school visits and boat hire operations in a busy park location. RYA Dinghy SI & BCU UKCC Level 2 Coach are essential. RYA Windsurf instructor, Archery GB Instructor, BDA Helm, BSUPA Level 1 Instructor & B+E desirable. 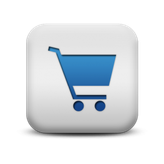 £9/hr, typically 40hr week with 35hrs guaranteed minimum & overtime possibilities. Contracts from 25th March to end of October, possibly extended to the end of November.